H.E. 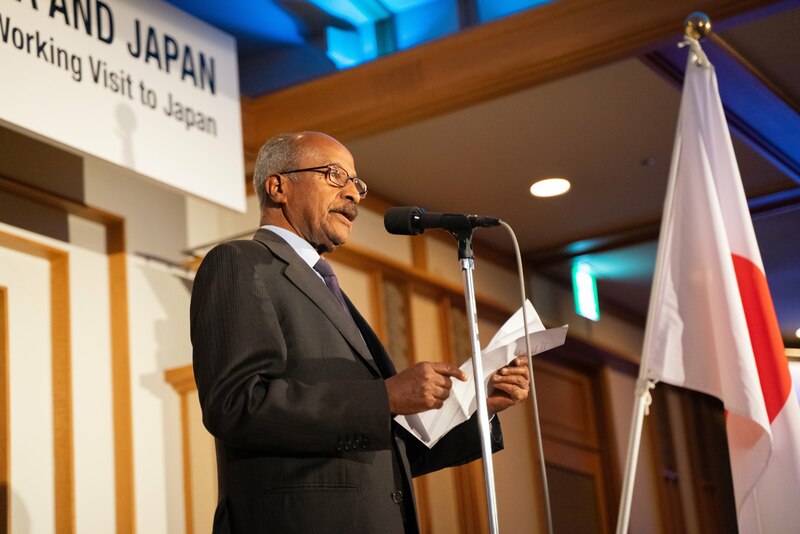 Mr. OSMAN Saleh, Minister of Foreign Affairs, State of Eritrea, has visited Japan between 25th and 29th March, 2019. On 26th, welcome party was held in Tokyo, organized by Eritrean Embassy in Japan with a support from SEISA Group as well as FGC. This was the 2nd visit to Japan for H.E. Mr. OSMAN Saleh, Minister of Foreign Affairs, State of Eritrea since his attendance at TICAD4 in 2008. At the opening of the party, H.E. Ambassador Mr. Estifanos Afeworki introduced history and culture of Eritrea. Next, H.E. Mr. OSMAN Saleh came up on the stage to express his respect for Japanese emperor and gratitude for the opportunity to come to Japan in this important period. He talked about the importance of Joint Declaration of Peace and Friendship between Eritrea and Ethiopia, as well as an expectation for deepening the friendly relationship between Japan and Eritrea. Guests from embassies from African countries filled the venue colorfully. With active interactions between people, the reception went successfully. There was a presentation about SKY project as well. Also, international students from Eritrea who are studying at SEISA Kokusai Shonan High School introduced themselves in Japanese on the stage. 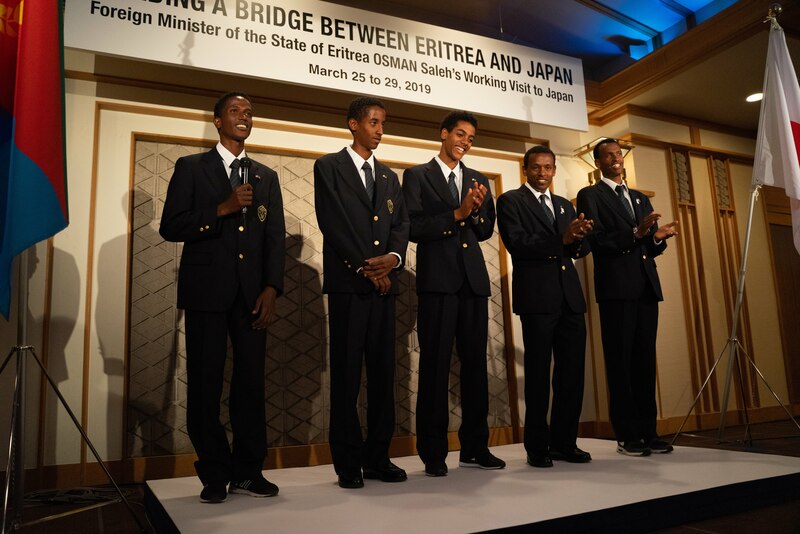 Eritrea and Japan are expected to work together for the future in various fields such as economy, culture, healthcare, education and environment. These movements will bring dream and hope for children for the future. FGC will continue our activities to make more children smile. We appreciate your continuous supports.